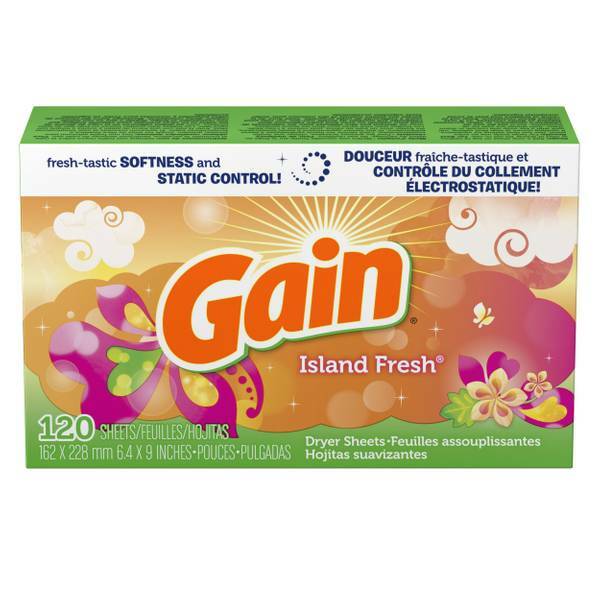 shipping | payment | returns | faq | about us Gain Dryer Sheets, Island Fresh 120 ea Island Fresh Great Gain freshness! Controls static cling Softens clothes 120 Dryer Sheets 162 X 228 mm / 6. 4 x 9 inches Box made from 100% recycled paper (35% post-consumer)Questions?